We have so many fun ideas and colors! Tell us your wedding, gender reveal, graduation, adoption, or birthday theme and let us make something special! The chalkboard signs are 16 x 20 made from 1/2 inch birch wood. The birthday board pictured is with a princess inspired theme. We can make ANY THEME or color scheme. All you have to do is provide me with a list of special things you want to include on your board, and I'll do the rest! We use high quality paints and each piece is sealed with a gloss top coat for permanent protection. These chalkboard posters can be used alone, propped up, sat on an easel or framed! Your design is painted onto the board but maintains the look of colored chalk on a chalkboard. Unlike chalk, however, the paint is there to stay and doesn't smudge! No two signs are alike! Each is a one-of-a-kind piece of artwork to celebrate that special moment. 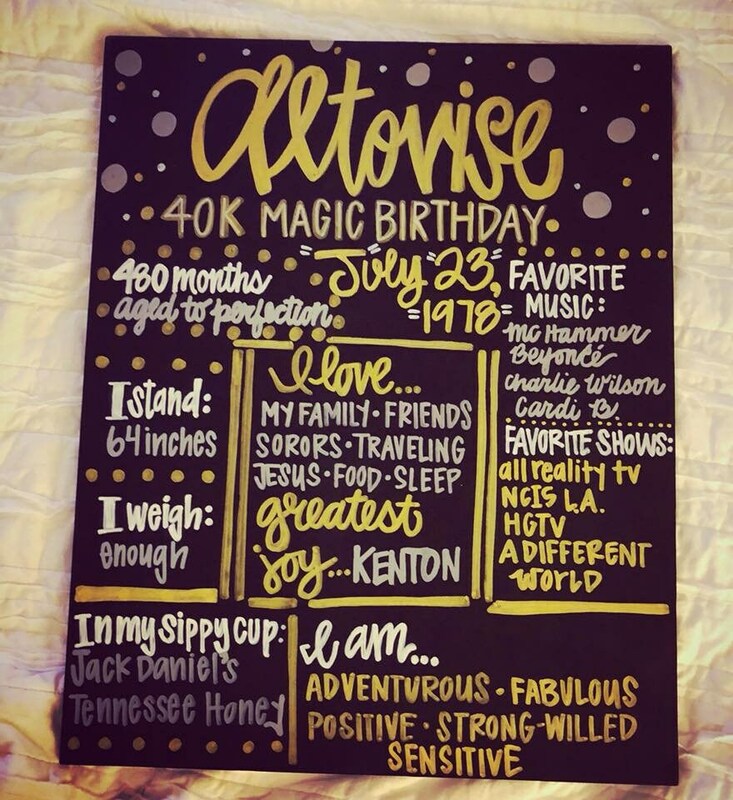 Each chalkboard sign is custom designed (colors, theme, style, etc.) and hand-painted especially for you! Orders are custom made as received so please allow us up to 1-2 weeks to create and ship your order. Due to all chalkboards being custom made they are NON-RETURNABLE. Upon purchasing this item, you are agreeing to all terms and policies as stated on our policies page.